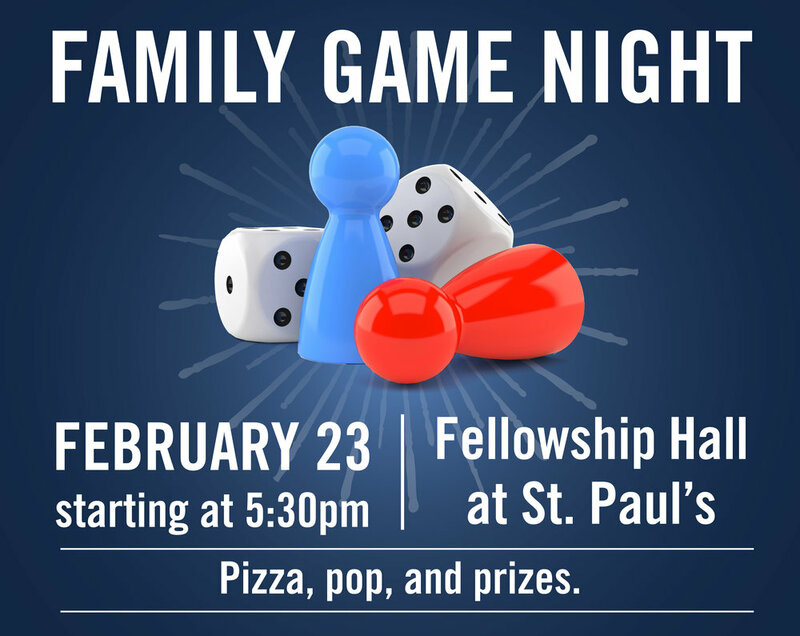 Join Grand Lake UMC and Big Brothers Big Sisters in St. Paul’s Fellowship Hall on Friday, January 12 at 5:30pm for a Family Game Night! Pizza, pop and prizes will be provided! If you have a favorite game to play, bring it along. There will also be games provided. Join us for this fun night!